Support aids give you the ability to be active once again when you have reduced mobility due to age or any injury. They help you to perform your everyday chores with ease once again, whether that’s just round the house or going out. These support aids are specially designed for people who have disabilities or injuries. Also for older adults who are at increased risk of falling and choose to use these aids. They will help make your life easier and active like before. TabletShablet offers a wide range of support aids, all at the comfort of your homes. To make your shopping experience easier, we have divided it into 2 categories: Walking aids and Commode chairs. If you experience weakness or pain when you walk or have had a fall, then Walking Aids are the perfect option. It provide several benefits like more independence, reduced pain, and increased confidence and self-esteem. 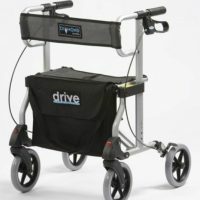 We have a range of walking aids like adult walkers, canes, crutches, wheelchairs, etc. 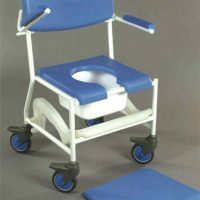 For people who are incapable of walking on their own or unable to reach the bathroom due to frailty or any other disease. Commode chairs gives you that affordability and comfort and can be placed in your vicinity. We offer variety of commode chairs like Sage Attendant Model Toilet Aid E-44-FOL, Sage Self Propelling with Pot Wheelchair E-25 MCSD, Karma Commode Chair Rainbow 2, etc.